Following last month’s Urbanears hype, The Tanto and The Plattan models are now available at Karmaloop in more colorways than a Crayola box. 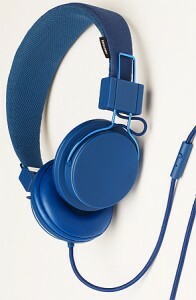 The sleek Scandinavian collective at Urbanears goes beyond superior sound quality and promotes a deeper connection to color, form and personality while allowing the freedom to transcend individuality and unify the sound experience (thanks, press release!). 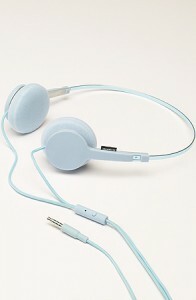 With an already solid reputation in functionality, Urbanears takes pride in creating headphones that fit everyday life, providing an ideal listening device for anyone with a cache of solid tunes and the desire to make (and hear) the most of them. Check out some flicks and learn more about Urbanearsâ€™ two distinct Tanto and Plattan models as well as the sizes, styles, designs and functions that further enhance what many of us hold so dear â€“ our music. Designed to be “the perfect classic headphone,” according to the folks at Urbanears, The Plattan combines innovative functions and performace with today’s technology. A full-size headphone that allows full, rich, secluded and ridiculously clear volume, sound and thumping bass (112dB, 20kHz). The Plattan furthermore folds down to the size of a fist for maximum mobility and convenience. Featuring Urbanears’ patented Zound Plug (see the specs below), invite a pal to plug in and thrash along to your Municipal Waste playlist. Also designed with mobility and convenience in mind, The Tanto’s size absolutely does not compromise when it comes down to performance. A tribute to the 1980’s aesthetic and revolution in mobile music, this tough lil’ fucker is ready for everyday use and wants to tag along everywhere you go – like herpes, but sexier. Some dig the minimalist style to the Urbanears pieces, but the innovations are where itâ€™s at with these cats: iPod/Blackberry compatible mics on each model, bold colorways and nothing over $60 â€“ huge upgrade if youâ€™re still using standard iPod headphones (don’t even get us started – we pity the ears that are subjected to those motherfuckers). Like bottles of whiskey, blunts and girlfriends, music is best when shared. The Zound Plug is not a plug, but rather a socket that allows your friend to plug into your earcap and listen to the same thing as you are listening to… if they dare. Both models come with two two additional cable extensions – we all know that there is no standard out there anymore. The default plug is a two-way construction that works with a majority of all devices, while the four contact point extension is specifically designed for Nokia devices allowing for you to fully utilize the microphone and remote. The remote other extension is a neautral stereo plug that is preferable with sources such as stereos, computers, music players and other one-way communication devices. The standard plug is fully functional without the neutral extension in many cases, but older products may read information differently – this extension is for those situations. 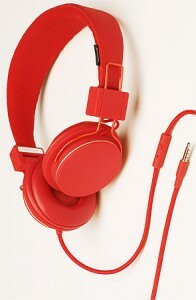 All said, Urbanears has you covered whether your up on your music technology or still rockin’ the Walkman. Click here to check out more colorways and get a closer look at the Urbanears drop. Show your ears some love, jerks. I cant find them on the store? Anyone know who’s stocking them the other side of the Atlantic in the UK? ?